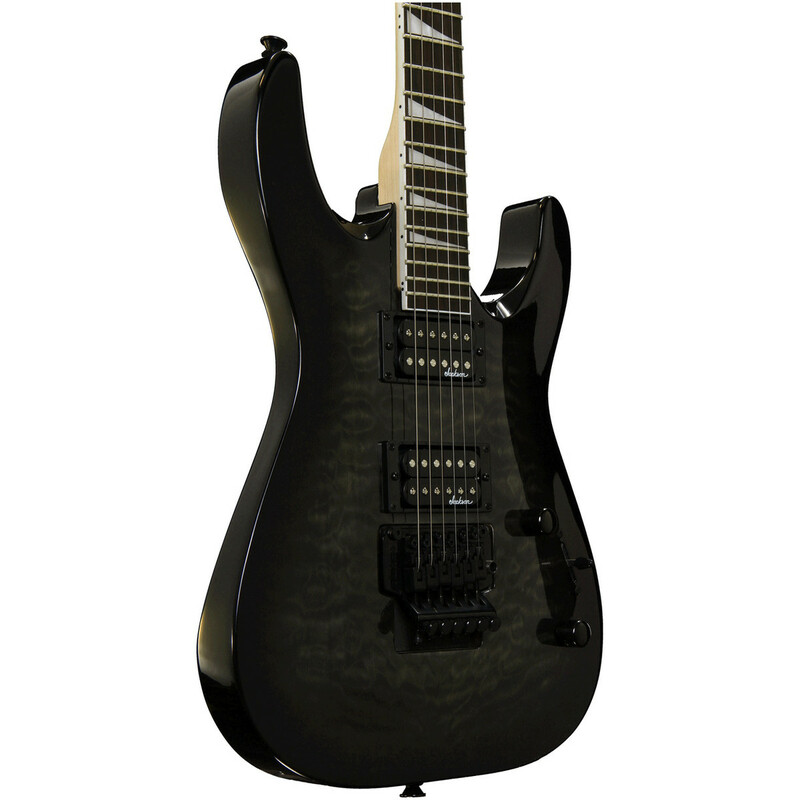 The Jackson JS32Q Dinky Electric Guitar combines stunning aesthetics and high quality components to create a fierce sounding and affordable 6-string electric guitar. 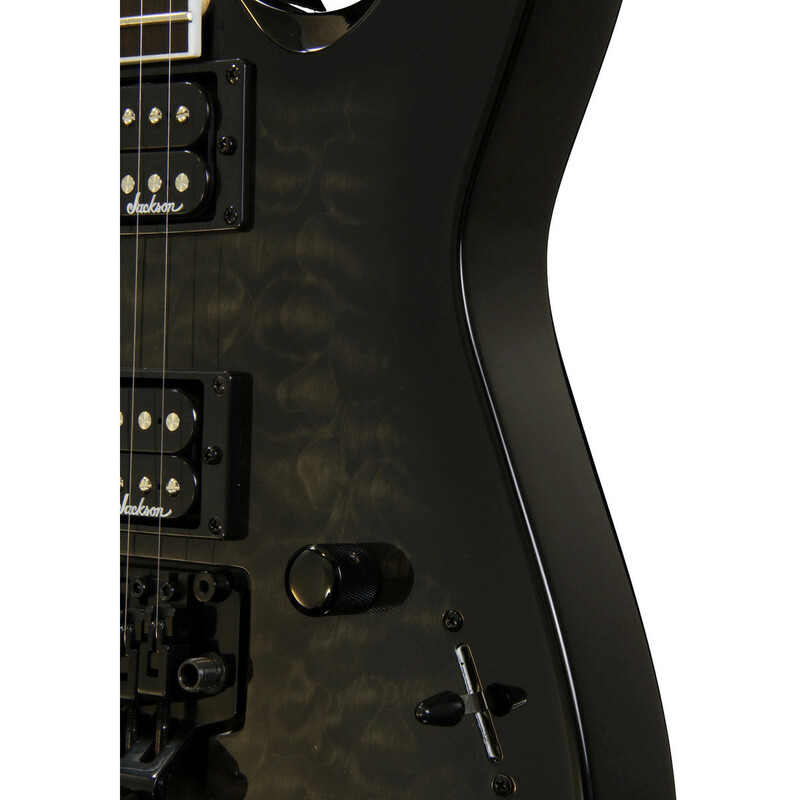 By integrating Jackson high output humbucking pickups with ceramic magnets the JS32Q provides a balanced yet energetic tone whilst the unique quilt maple arched top delivers a finish not often found in this price range. 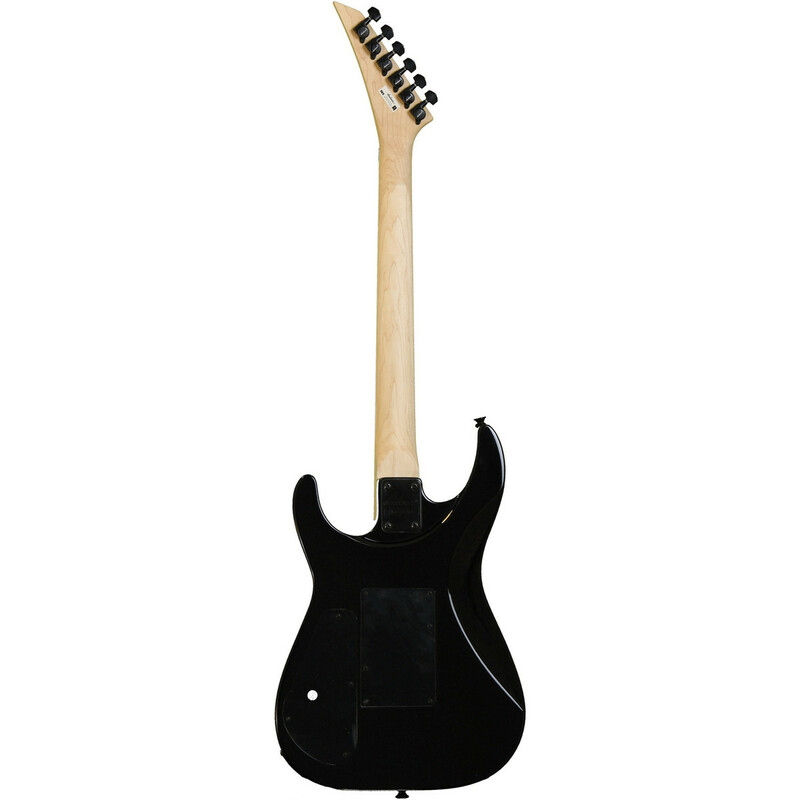 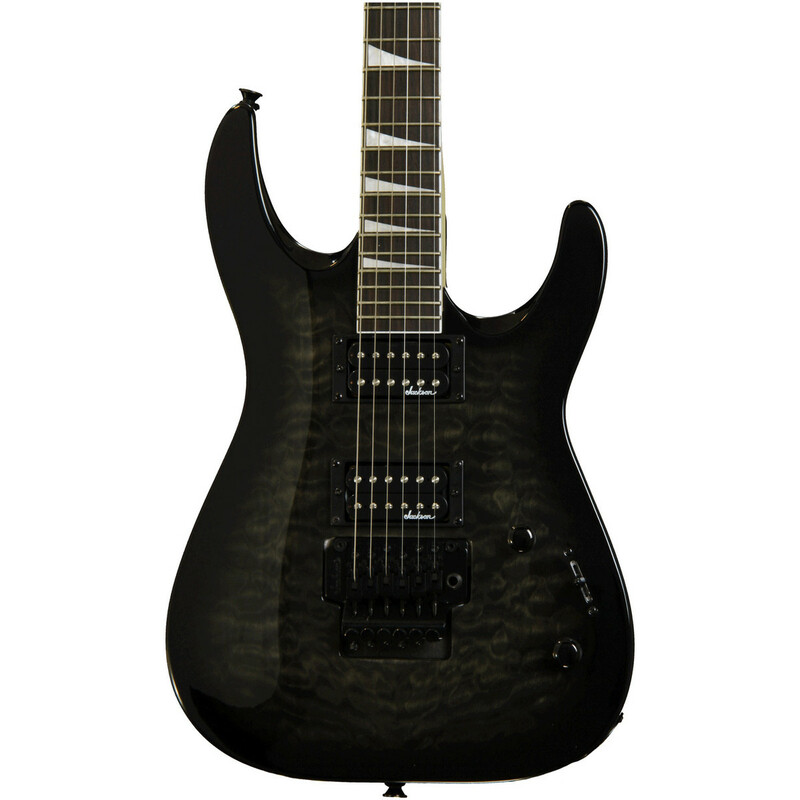 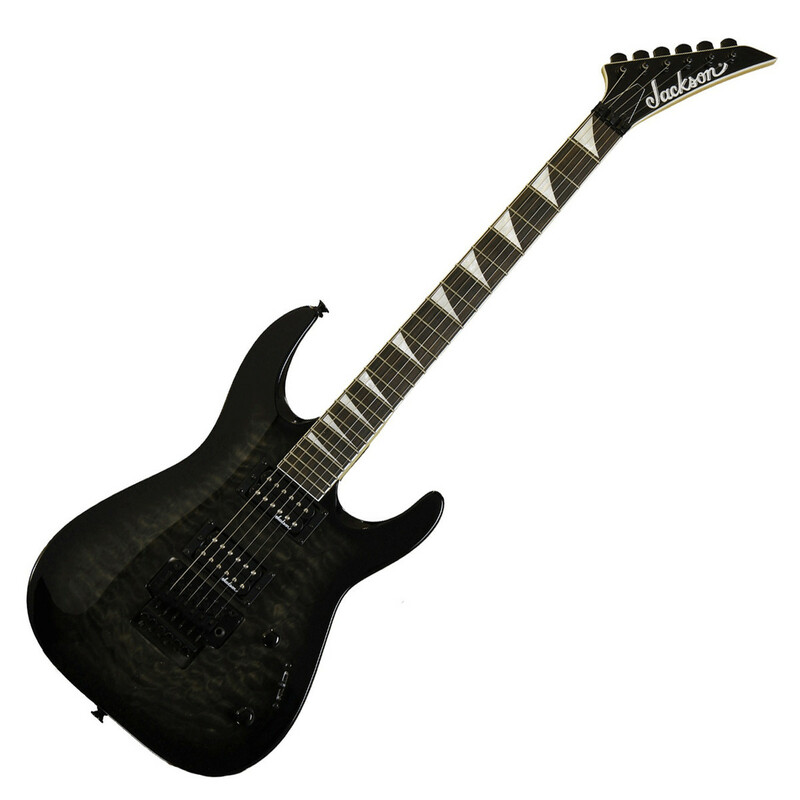 Also featuring a 24 fret rosewood fretboard, maple neck with compound radius profile, Floyd Rose Licensed Jackson Double Locking Tremolo, basswood body and sleek black hardware the JS32Q provides a true powerhouse electric guitar perfect for beginner and intermediate guitar players. 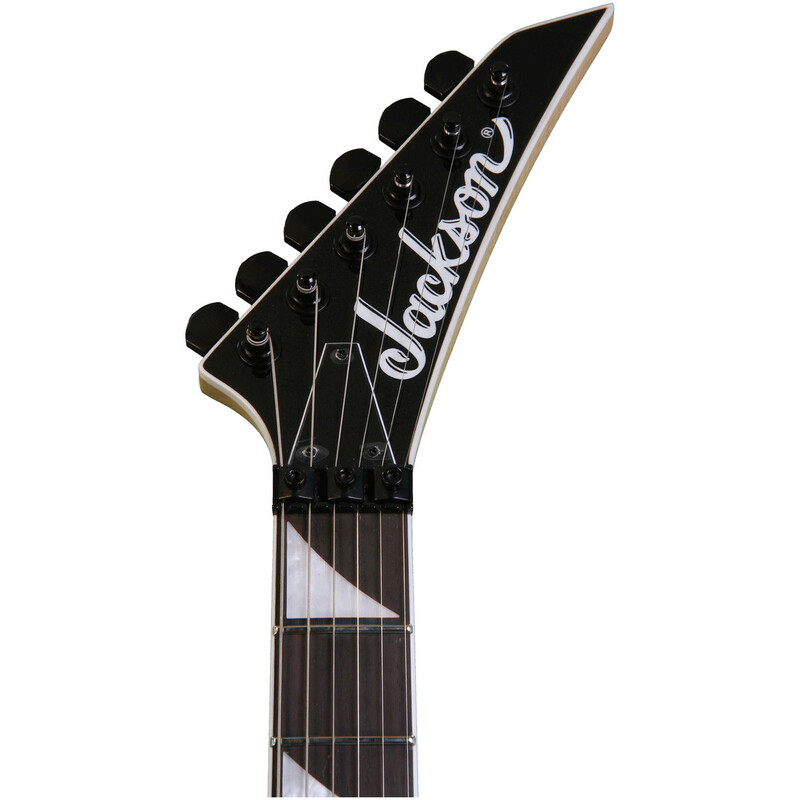 The Jackson JS32Q incorporates a Floyd Rose Licensed Jackson Double Locking Tremolo which provides the ability to produce a range of unique sounds and accents such as dive bombs whilst keeping the cost affordable as opposed to traditional more expensive Floyd rose Tremolo's. 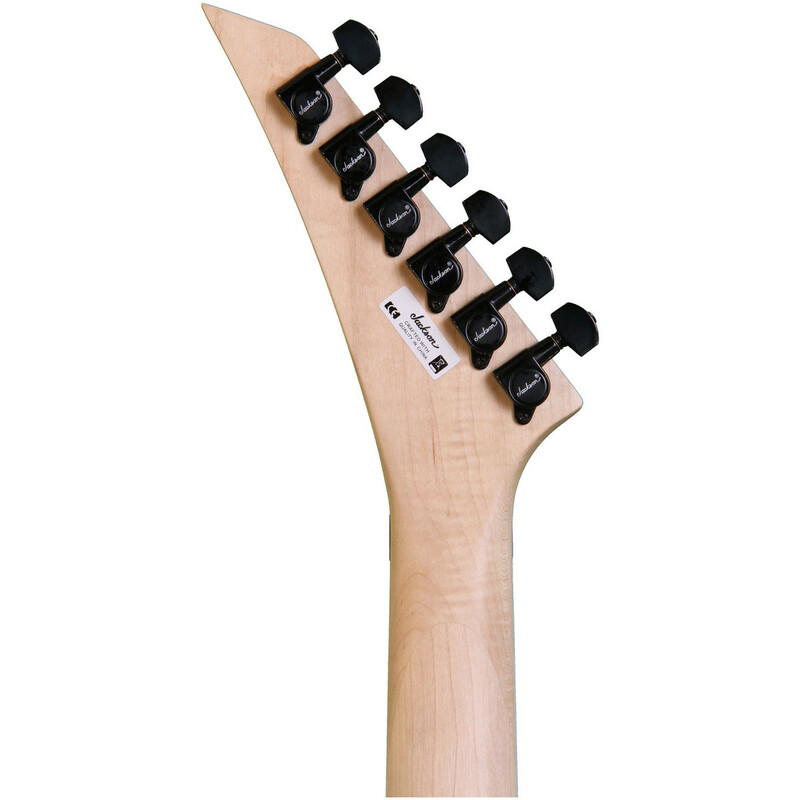 Also utilizing a locking nut system the JS32Q provides advanced tuning stability which is essential when using a tremolo or for performing musicians. 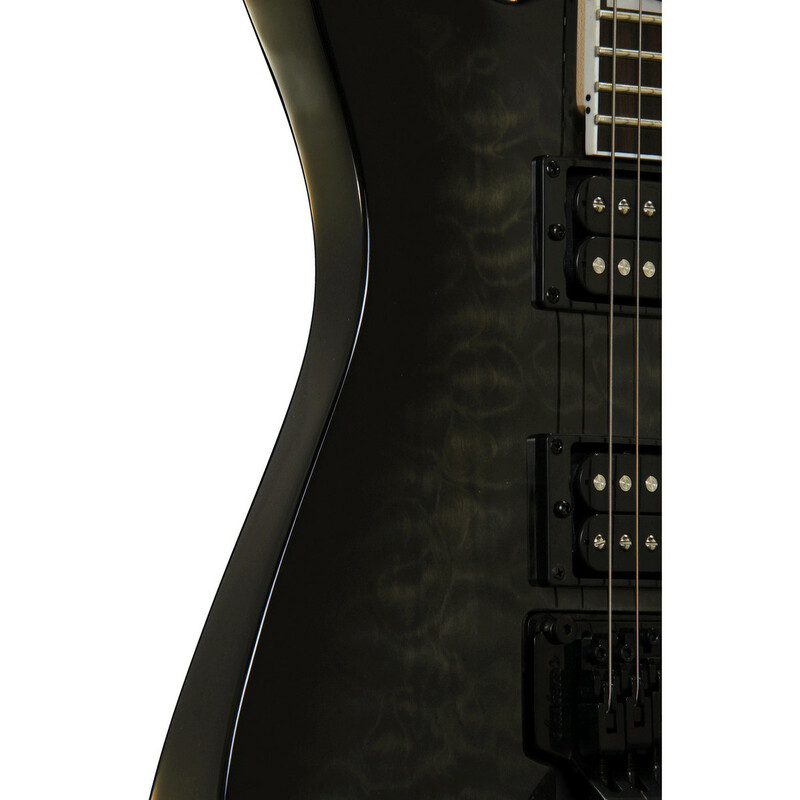 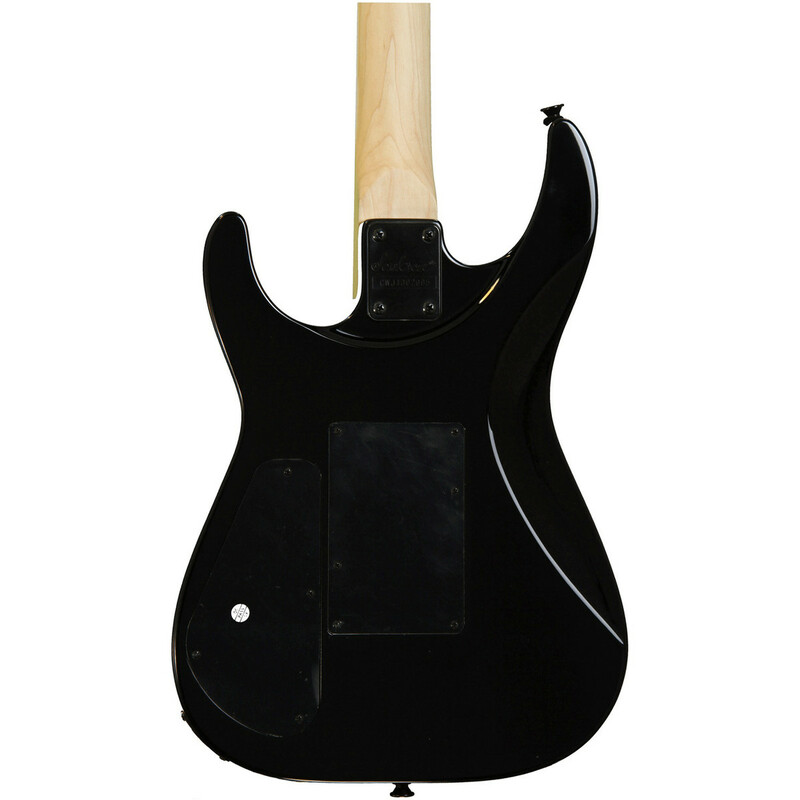 The Jackson JS32Q Dinky features Jackson's unique and innovative compound-radius fretboard design, in which the fretboard gradually flattens toward the heel from its more rounded profile at the nut providing a smooth playability for both chords and riffs whilst the flattened heel allows sensational accessibility and speedy at the high register perfect for both lead and rhythm players.